At least two teams from Kirloskar Brothers reached the site 15 days after the tragedy struck. Shillong: It is for the 16th day that the 15 miners have been stuck in the rat-hole like cave in Meghalaya‘s Jaintia Hills district. With the state government finally giving a nod to the assistance being offered by both Coal India Ltd. (CIL) and Kirloskar Brothers, now the Indian Air Force C-130J transport airport has taken off from Bhubaneswar carrying National Disaster Response Force (NDRF) personnel and equipment to help in the process to rescue the Meghalaya miners. The aircraft is likely to land in Guwahati soon. On Thursday, at least two teams from Kirloskar Brothers reached the site 15 days after the tragedy struck. “We are deeply concerned about the trapped miners in Meghalaya and are ready to help in whichever way possible. We are in touch with the officials of the Government of Meghalaya to offer our assistance in this regard,” Kirloskar Brothers Ltd said in a statement on the night of December 26. IAF spokesperson Wing Commander Ratnakar Singh said the National Disaster Management Authority (NDMA) has requested the IAF to airlift rescuers from Bhubaneswar to either Guwahati or Shillong airport on Friday. A 10-member team, including four engineers and six surveyors, are on their way to the site. Two top CIL officials are also expected to reach. 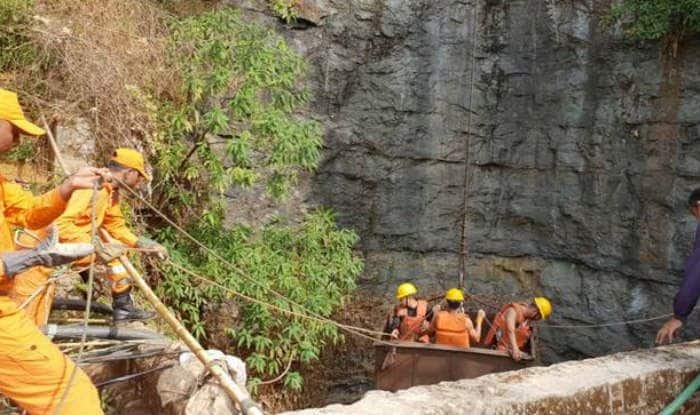 “We have received a request from the Meghalaya government to help carry out search and rescue operations in the coal mine where some miners were trapped. Immediately we have mobilised the manpower within the organisation so as to reach the site as soon as possible,” said J Borah, General Manager of CIL`s Northeastern Coalfields. However, the equipment including pumps, pipes and survey tools will take some time to arrive as those are being sent by road from different CIL establishments, said Borah adding that the operations will be launched soon after all the equipment and manpower arrives at the site. On December 13, nearly 20 miners entered the quarry owned by Krip Chullet. After reaching the bottom of the pit, they entered horizontal manholes, often termed as ‘rat-holes’, as each just about fits one person. The miners have trapped in the illegal pit after water from nearby Lytein River gushed into the mine.